Workplace fatigue can lead to accidents, injury, ill-health and loss of productivity. It has been cited as the root cause of many significant accidents including the Clapham Junction rail disaster, Chernobyl, the Texas City oil refinery explosion, the Exxon Valdez oil spill and the loss of the Challenger space shuttle. Fatigue is also implicated in 20% of accidents on major roads. What is fatigue and why should I be concerned about it? Fatigue is generally considered to be a decline in mental and/or physical performance that results from prolonged exertion, sleep loss and/or disruption of a person's 'internal clock'. Fatigue can arise as a result of excessive working time or poorly designed shift patterns. It is also related to workload, since workers are more easily fatigued if their work is machine-paced, complex or monotonous. Research shows that some working patterns result in less fatigue than others. By taking advantage of more favourable patterns and allowing sufficient recovery time, it is possible to balance the needs of both worker and workplace. Our human reliability team has developed a deep understanding of the issues surrounding fatigue over many years and is very familiar with the scientific knowledge and thinking in this area. The team provides expert assistance to businesses and regulators, as the many interacting factors that can contribute to fatigue make this a challenging risk to manage without informed guidance. Julie Bell is HSL's topic lead for fatigue and human error, and heads our Human Reliability team and has provided expert evidence in numerous major incident investigations (e.g. Buncefield, etc). With her team, Julie offers consultancy services to help organisations to manage fatigue risk by making sensible improvements, educating and engaging their workers, addressing any organisation-specific issues and questions, and by checking for compliance with the Working Time Regulations and HSE's expectations. As workload and demands on the worker are key factors in assessing the fatigue risk, we can conduct exploratory work to quantify the demands placed on the workers. This can allow businesses to optimise assessments when using HSE's Fatigue Risk Index. 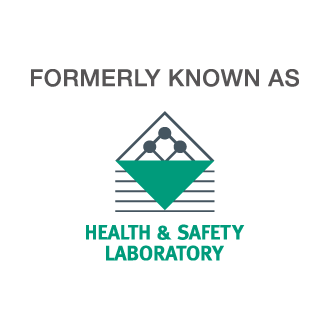 HSL can also work at an industry level, with the trade associations and/or regulators to understand the specific issues and consider what would be reasonable in a particular industry.